Granite grade is based upon the presence of soft minerals, its origin, thickness/cut, color and porosity. There are a few things you can do to check the actual quality of granite, as well as differentiate granite from marble and limestone. 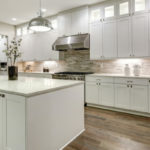 We like to believe that if we pay more for something it’s better than its less-costly competition, but that’s not always the case when it comes to granite. The price tag on a slab of granite often has nothing to do with its actual quality. 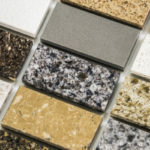 Knowing what constitutes high quality granite can help you select the right materials at a fair price. It might come as a surprise, but there is no set industry standard for grading granite quality. Most manufacturers and stores have an in-house system used to define different grades of granite. Generally speaking, commercial-grade granite has a lot of soft minerals dispersed throughout and less color variation than higher quality cuts of granite. Mid-grade granite is often identifiable by its clear colors and more elaborate patterns, but it doesn’t have the same unique qualities as more high-end cuts. The highest quality granite includes slabs with one-of-a-kind colors and vibrant patterns that would be hard if not impossible to find again. 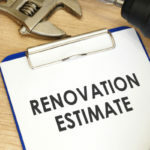 Since there isn’t a set standard for grading granite, it’s important to shop around and find the granite you like most at a price that seems fair and aligns with your budget. Maybe your favorite color granite is considered commercial-grade, and there’s nothing wrong with that. As long as the cut and finish are good, you score long lasting granite countertops for less money. 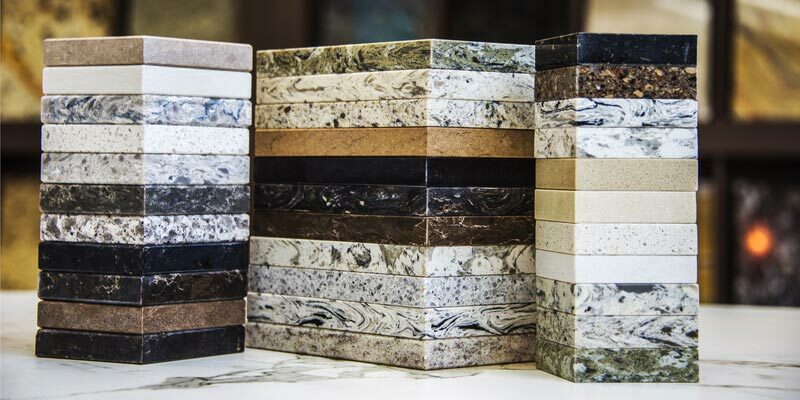 There’s no need to splurge on the highest quality granite unless you’re set on a rare color variation or pattern. Granite comes from all over the world, and while location doesn’t necessarily dictate quality, it can fluctuate costs. For instance, granite produced in China tends to have the lowest resale price due to low labor costs—just like many other products made in China. Granite from Italy and Brazil tends to be more expensive. Granite is extremely heavy and expensive to ship. Long distance shipping costs can considerably increase price per slab. For instance, rare blue granite is going to cost less if you buy it in the US, as opposed to ordering it from Italy. Granite is extracted from the Earth in massive slabs. These huge slabs are transferred to manufacturing facilities where they are cut into thinner and more manageable chunks. In order to get more counters out of one slab, some manufacturers cut very thin sections. This reduces durability, especially if the slab measures less than one-inch thick. Thick granite is considered higher quality (and more durable) than thin granite. Quality countertops should be around 1 to 1 ¼-inch thick in order to provide the necessary durability associated with natural stone. Take a close look at granite to see if you notice any dings, dents, scratches or uneven surfaces. Even baby cracks can turn into large cracks with the potential to snap the entire slab in half during or after installation. Quality granite should be tough enough to deter most dings and scratches, so it’s a red flag if new granite already appears damaged. Granite varies in porosity because the actual makeup of granite can vary to some degree. Absorbency impacts if granite fades over time or maintains its vibrant colors. There’s a little test you can do to determine porosity. Grab a lemon and squeeze a drop of juice onto the countertop surface. Watch it to determine how long it takes to absorb. 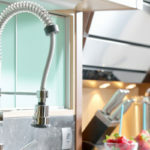 If it takes a long time, or doesn’t appear to be absorbing at all, that means granite is less porous, requires less sealant and will last longer. On the other hand, if the juice absorbs rather quickly, granite is very porous and will need regular coats of sealant to survive. Check the quality of granite polish by using metallic materials to scratch at the surface. If metallic materials leave behind a mark, the polishing was not done to the highest quality and will not withstand day-to-day use. You can identify granite from marble and other types of stone by using the scratch test. Use a knife blade to try and make a scratch in the surface–pick somewhere discreet and out of sight. If it’s difficult to make any mark in the surface, you’re likely looking at granite—or some type of igneous rock. If the surface does scratch, you’re likely looking at marble or limestone. Even though marble scratches, granite is less expensive to purchase. More durable and more affordable—now that’s what we call a win! Retail prices put marble slabs at around $100 per foot, and that’s just the starting price. Granite retails at $75 per foot and up.